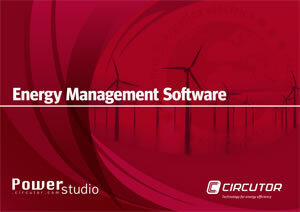 Energy measurement and management solutions from Circuitor for the ISO 50001 standard can be found in the PowerStudio SCADA Catalogue as well as their more comprehensive document, Energy measurement and management systems for the ISO 50001 standard. Arrangement of the information obtained in graphic and table format. It enables complete energy monitoring of power analysers, meters, earth leakages and total control of various magnitudes in the industrial process field. PowerStudio, in conjunction with CIRCUTOR equipment and systems, adapts to your particular needs by providing tools for the supervision and control of your installations.